Dr Debbie Osborne owner of The Alice Springs Veterinary Hospital. After working as a vet in Sydney for 18 months, I slowly made my way to the UK (via, among other things, a hike to Everest Base Camp and a winter in Zermatt, Switzerland) and worked as a vet in various practices in England over the summer. On my return to Australia, I worked in Sydney for 6 months, western Victoria for 6 months, then Alice Springs for what I thought would be 6 months, but has been 34 years now and counting! After 4 years here, I bought the practice – in the same year I got married and had my first child. What does a day at The Alice Springs Veterinary Hospital look like? My day usually starts with my husband bringing me a cup of tea in bed. I try to walk to work whenever I’m not on call because it’s the only exercise I get between ski holidays (which are way too infrequent!). As the owner of The Alice Springs Veterinary Hospital, my days can vary considerably depending on which other vets are available. I have two full-time vets who work a regular roster, a FIFO (fly in fly out) vet who works two weeks on/ one week off, and a casual vet who works two days a week depending on her shift-worker husband’s roster. I tend to work the shifts that are not covered by the other vets. This means I work more vet shifts when the FIFO vet has flown out or one of the vets is on leave and fewer vet shifts when the others are all here. A typical day after a night on call starts at 8am when the nurse and I check the hospital patients and update their treatment plans. At 8.45am, the hospital nurse, surgery nurse, receptionist and I do rounds so we all know the plan for the day. From 9am-10am I do pre-surgery checks on patients being admitted that day. From 10am – 3pm, I do the day’s surgery procedures, stopping for a lunch break at a convenient point. At 3pm, all vets and nurses and the afternoon receptionist do rounds so we are all up to date on the patients and have a chance to discuss the tricky cases. After rounds, I finish procedures if any remain, check the bills (which will have been done by the nurses), write up my medical records and do any discharges that can’t be done by one of the senior nurses. The cases that we see are very varied. There are the typical vaccinations and desexing. Unfortunately, we do see quite a few parvo cases. Most of these survive if the owners commit to treatment because we treat very intensively. It’s so rewarding when these pups who have been so desperately ill start yapping and driving us nuts! We also see snake bites during summer, and again most will survive if the owners allow us to treat. Dogfight wounds are another thing we, unfortunately, see a lot of but because we see a lot, we have become very good at recognising potential problems and intervening early to prevent them. As long as the owners are committed, we don’t give up. we don’t have fleas! It’s too hot and dry in summer and too cold in winter for the fleas to survive. For the same reason, we see very few problems with intestinal worms. I have so many times that made me really proud! One recent case that comes to mind was a dog that I was highly suspicious that they had 1080 poisoning. The dog had just started seizuring when it came in on Sunday evening. Fortunately, one of the nurses was in helping with another emergency so we were able to quickly get this dog anaesthetised to control the seizures and I was able to leave her monitoring the anaesthetic while I dealt with the other emergency case. The owners of the dog with 1080 poisoning understood the very poor chance of the dog surviving but chose to have her treated through the night to give her a chance, however small. I managed the dog through the night, handed over to the other vets in the morning and went home for a sleep. When I came back to work on Wednesday, the dog was still in hospital but fully recovered and was discharged that afternoon. One of the nurses had sent me a message during my 2 days off to say how proud he was to work in a practice where the vets would go to such lengths to save a patient. I am proud to have a practice where clients will allow us to go to such lengths to save their pets. What do you wish more people would understand about animal care? No dog should EVER get a parvovirus infection. The vaccine is very effective. That’s no excuse – ask! We have lots of clients who genuinely can’t afford our recommended diagnostic and treatment plan and we will work with them to come up with a plan they can manage. Others choose to spend their disposable income on other things, and that’s OK – just don’t try to make your spending choices my fault. What really annoys me is how so many people think it’s OK to say, when given an estimate of costs, something like “Wow, that’s expensive!” or “Are you serious?” or similar. I have never said anything like that when receiving a quote from a mechanic or a plumber or when checking the price on a dress in a boutique – I might have thought it but I am too polite to say it. I often wonder if the otherwise quite reasonable people who make these comments to vets would say the same thing to other business people. I get excited about the new flea and tick control products that are saving so many dogs from tick paralysis and as a bonus, are also effective for treating mange. We don’t have paralysis ticks in central Australia but my colleagues on the east coast tell me what a difference it has made to the number of cases they are seeing (actually, not seeing!). I just hope people don’t get complacent. As for technology, I think ultrasound is amazing for what it can tell us about what’s going on inside the body. Even more amazing is MRI, and while I don’t think I’ll ever have an MRI machine in my practice, I think it’s great that my patients have access to this technology at specialist practices interstate. Where do you see the veterinary profession in 5 years? 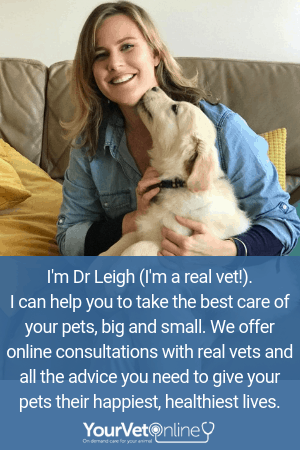 Hmm … I think the practices with a low cost / limited service business model will die out as I believe there will be fewer and fewer pet owners willing to trust “Dr Cheap N Cheerful” with their special family member. I think the level of care expected by clients will increase and we need to be able to meet those expectations. I think work conditions for veterinarians will improve as large regional towns are able to support a 24-hour emergency centre. This may mean it will be harder to attract vets to the smaller regional areas (like Alice Springs) where being on call is a necessary part of the job. Last photo from phone: My husband put up a fence to stop our dog from digging up the Yukka (I think that’s what it is!) – it didn’t work. Thanks so much Dr Debbie, what an interesting time you have in Alice Springs. You make some interesting points about preventative care in general. What do our readers think? Join the conversation below and be sure to share this feature with your friends. This is our first official interview in our series of Meet Your Vet, I’m sure you will enjoy hearing about the lives of our favourite vets. We will be sharing in their own words why they became vets and their favourite and not so favourite parts of the job! If you would like your own vet to feature, pop their name and clinic details in the comments section below or email us!